Styled with delphine sweater . 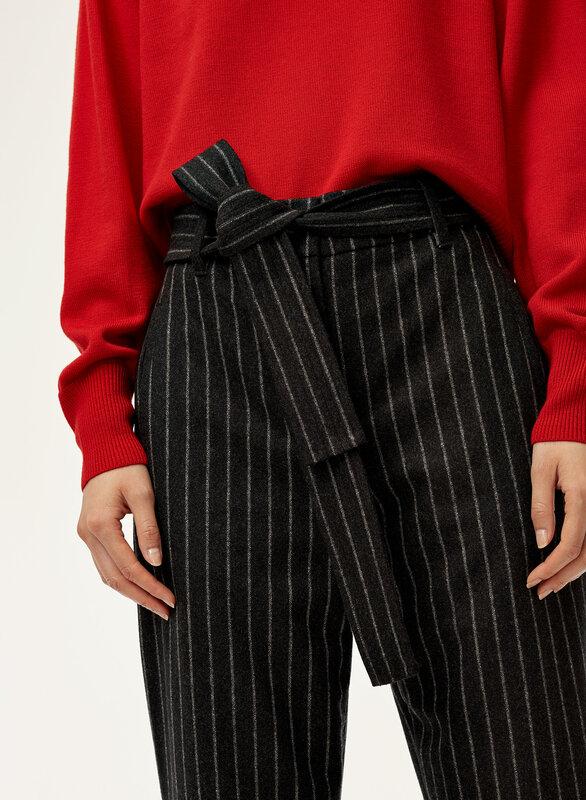 Simple, flattering and comfy: These high-waisted pants are cut from Italian flannel that blends wool and cashmere with a hint of stretch. 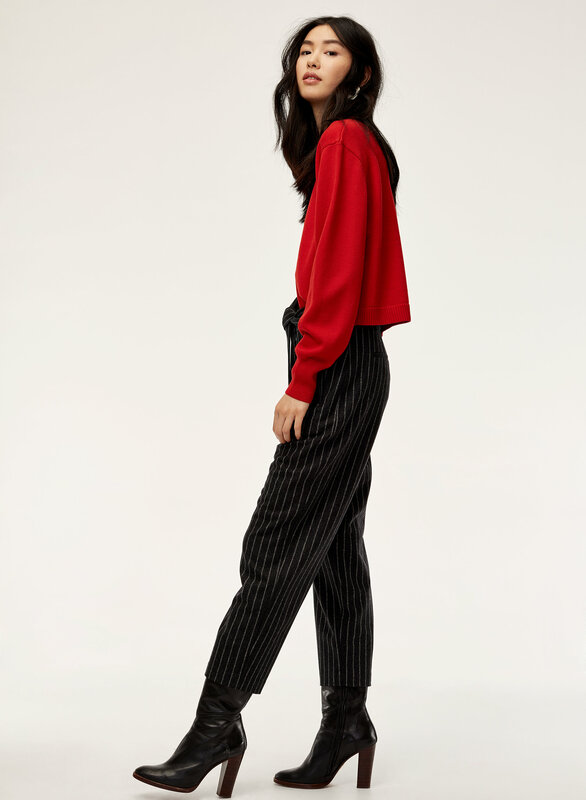 Model wears them until ankle but I wear them like normal pants. Material is not super soft but okay. I bought them when they were on sale. Good price! Would recommend this product, great fit and style. May have to size up for wool style. Perfect length for someone short and great quality. I am 5'3" and around 120 lbs. My waist: 27, my hips: 36 and size 6 fits me perfectly. I love these pants. They are so warm. I cannot wait to wear them out. I hope this review helps. The stripes are flattering. 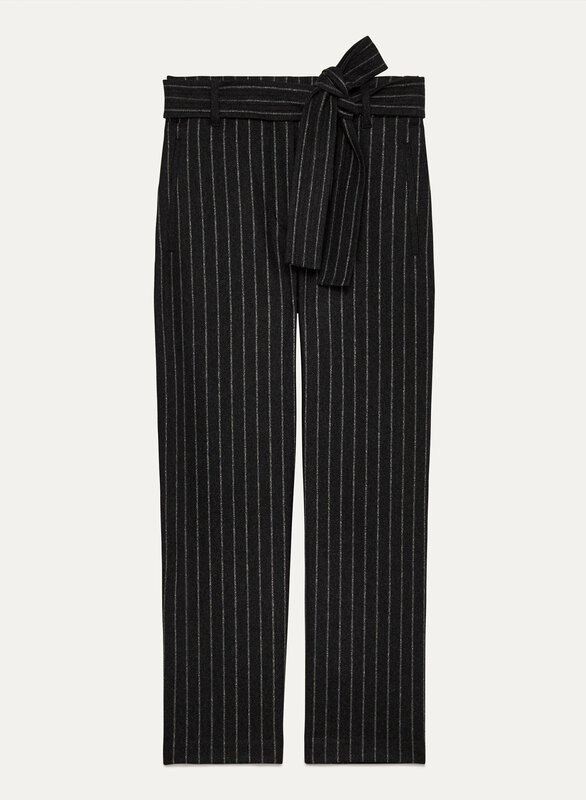 These are the perfect fall/winter pant. Hit me around the ankle so don't have to worry about hems etc. Great but stretch out as you wear them. 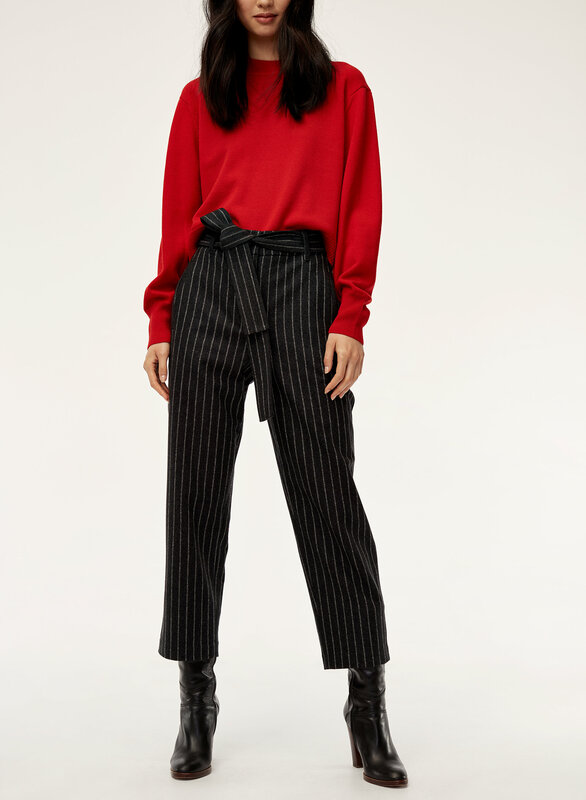 I like these pants a lot and they look great until you sit in them or knee down. They stretch super quickly and become loose around the knees. Overall, ok. Very good quality pants especially for the winter! 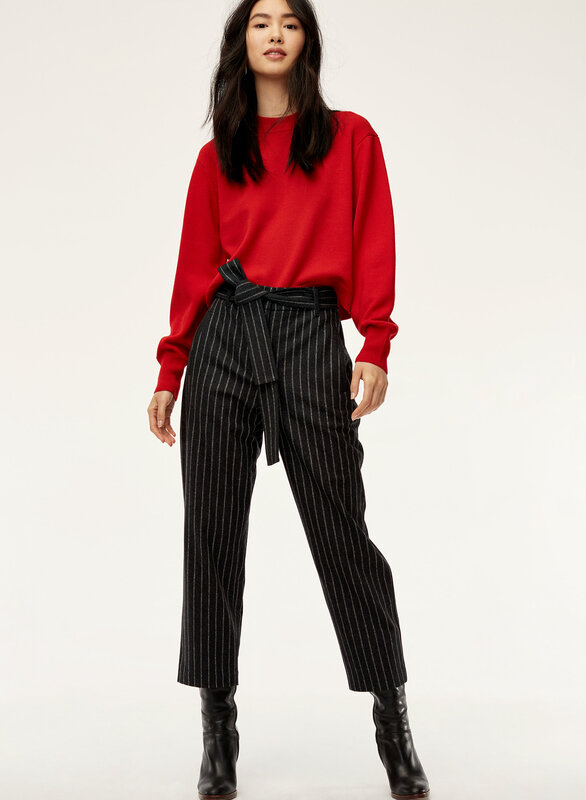 Super cute and match perfectly with so many tops. The only down side is that the waist is smaller than I had expected it to be so it’s harder to tuck thicker shirts inside. 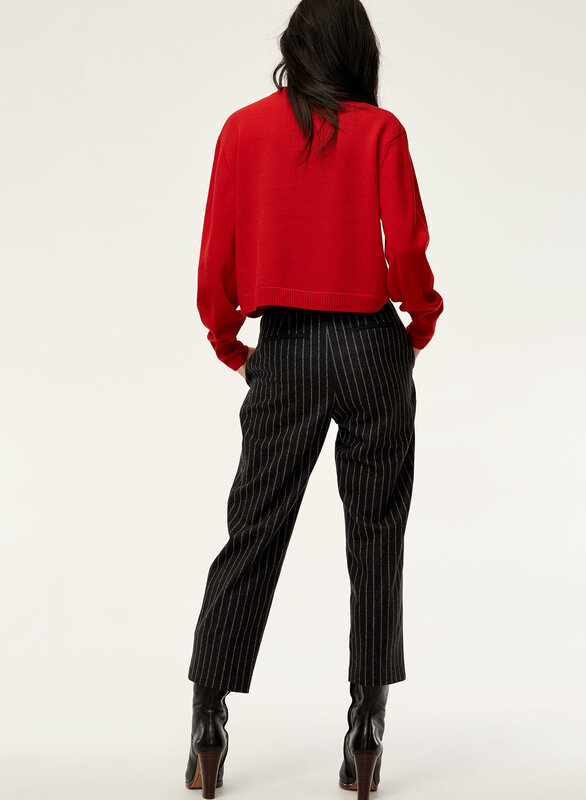 Really cute style and flattering, just super small and hard to get on. I am typically always a size 6 and even the size 8 was extremely tight and hard to button up.